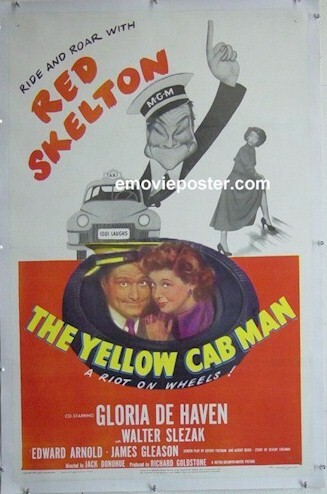 1950 - "The Yellow Cab Man", starring Red Skelton. Great Vintage One Sheet (27x41") for this hilarious classic with Red Skelton. Nice artwork and graphics. Excellent condition and Has been professionally linen backed. 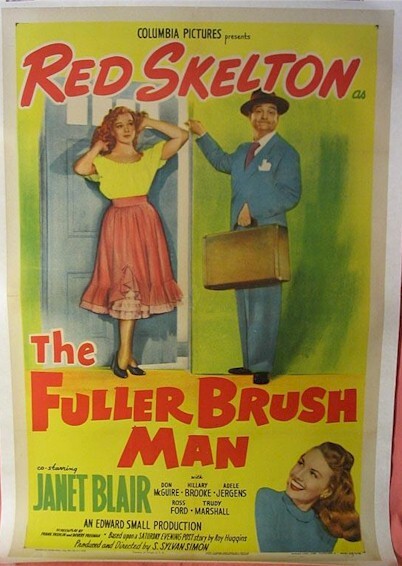 1948 - "The Fuller Brush Man", starring Red Skelton. Really nice early 1940's Red Skelton vintage movie one sheet (27x41") poster. Absolutely awesome artwork!! Some of the best vintage movie art we have ever seen. . The photo says it all.